KUALA LUMPUR: South African Ernie Els surged into contention at the halfway stage of the Maybank Championship on Friday after he posted a 70 to sit two shots behind leader Thomas Pieters. 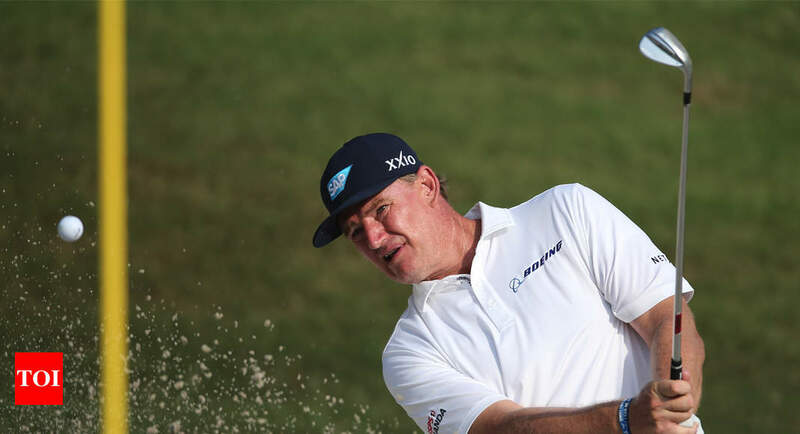 But it was Els who got the crowd’s attention at the Saujana Golf and Country Club in Kuala Lumpur with a consistent display under sweltering conditions to sit tied fourth at six-under par 138. “It is quite difficult because the winds are swirling a bit. But I happy with my game. Hopefully it’s not too far away tomorrow,” he told reporters. “Even if you are three or four shots by Sunday, you have a chance so I am looking forward,” Els added. “I struggled off the tee early on, at the end it was a lot better. It didn’t feel like a good day to me, I made the best of what I had,” he said. Laser sharp: Kettle Moraine girls golf claims top spot in state golf poll.